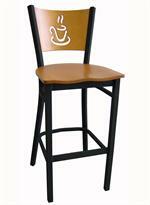 Chair, wood back with cup cutout, welded 1-1/8" square metal tubing, textured black powder coat finish. Available with a veneer seat, or an upholstered vinyl. 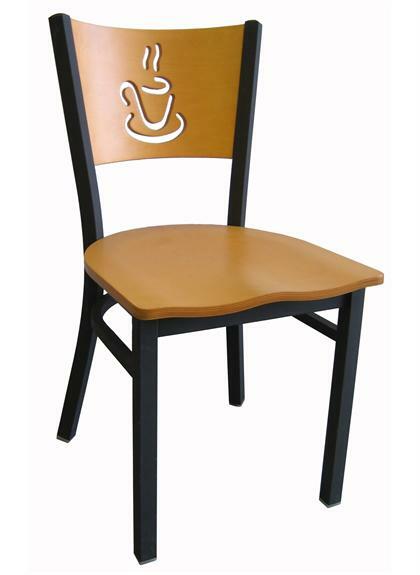 Our metal chairs have a fully welded frame and comes standard with plastic gliders.